Roksanda Ilincic is a Serbian fashion designer based in London, I discovered her while I was watching VideoFashionNews on TV (which is pretty much my addiction), what I loved about her was that way of using colors, their designs and how everything seems perfect for any time even in those neon colors, even the First Lady of the United States has worn her designs. You guys should follow her instagram, it is a touch of color to your lives. 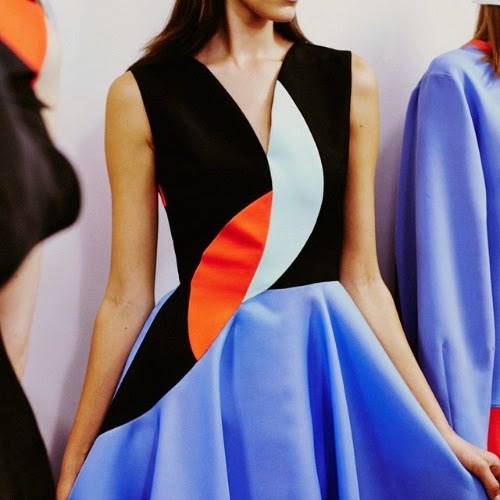 I admire how the collection uses corals, light blues, and black effectively throught. There's some unique color combos that keep you intrigued.